As a member of our Association since its inception, Allen has had a chance to accumulate several top finishes during his long league career with the VNEA, including a State Championship in 1996. 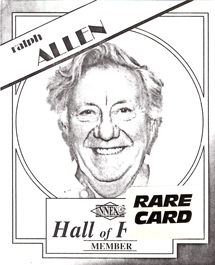 Allen has been the Captain of his team for many years and had served as the President of his league for nine years. During his term as President, Allen’s league grew from a dismal 5 teams to a whopping 56 teams. Ralph is very proud of the fact that his wife and four of his children are active players in the VNEA. International Championships Team Finishes: 1982 – Team Champions; 1983 – 3rd Place; 1984 – 5th Place; 1985 – 9th Place. 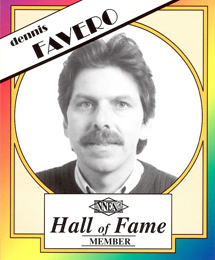 Dennis’ accolades during his several years in the VNEA include an impressive display of Singles and Team titles in Windsor, Ontario, Canada; Rapid City, South Dakota; and Omaha, Nebraska. Favero has maintained his leadership role by serving as his team’s Captain and also as a respected Officer of his league. Dennis’ experience as a player in the International Championships as well as many leagues has made him an invaluable promoter of the VNEA. Notable International Championships Finishes: 1985 – Team Champions; 1987 – Team Champions; 1987 – Singles Champion; 1988 – Masters Singles Champion; 1989 – Masters Team Champions. Shelley’s outstanding local tournament achievements include: 1994 – Ladies State Team Champs; 1995 – Ladies State Masters Team 2nd Place; 1996 – Ladies State Masters Team 4th Place. 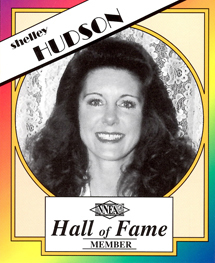 Shelley has also been named League MVP several times throughout her career. Was the 1997 Sandusky VNEA Champion. League Coordinator for 12 years helping to promote the start of the VNEA League System in her area; oversaw growth of league from 6 teams to an incredible 63 teams. Junior League Instructor and Coach. Shelley also placed 3rd in the Women’s 9-Ball Regular Division at the 1991 International Championships. A 5-time VNEA/IAMOA Women’s State Champion. Diana has served as the Captain of her local VNEA pool team and has been a Congress Representative in the past. Minor’s Master squad finished 2nd in her league in 1994 and 1995 and captured 1st place honors in 1996. The 1994 VNEA International Championships proved just how good of a player Diana was as she was named to the VNEA 1st Team All-Star Team, took 2nd place in the Women’s 8-Ball Division and 3/4th place in the Women’s Masters 9-Ball Division. 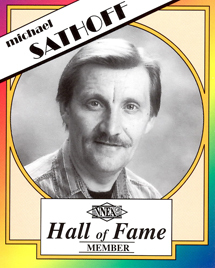 Sathoff has captured over 20 local tournament titles and has garnered several 2nd and 3rd place finishes. Sathoff has stayed busy over the years serving as Team Captain, League President, and Certified Referee. He has also served as the Director of the local Youth Pool League. Over the years, Michael has proven to be one of the most consistent players in the VNEA by accumulating several Top League Player honors. Michael has competed in multiple International Championships in Las Vegas. He has successfully passed his extensive tournament experience on to several local youth teams in his area that he has accompanied to many of the VNEA Int’l Junior Championships.